Mulching garden beds with organic mulches and compost will help stabilize soil temperatures and moisture. It will do a bunch of other things for your garden, but we’re focusing on worms here. Mulches made from grass cuttings or leaves have twice the earthworm population than course mulches from straw or cornstalks.Mulches made from wood wastes that have lots of small particles, like sawdust, are easier for worms to swallow and eat.Unfinished compost is one of the best worm food mulches around. Earthworms go inactive when it gets cold and move below the frost line. Frost can kill earthworms in less than 2 minutes. Mulching provides insulation. Watch the forecasts in winter months and use row covers or frost cloth over garden beds if a hard freeze comes your way for your plants as well as your earthworm population. In the spring and fall, when temperatures are moderate and rainfall is plentiful, earthworms reach the peak of their activity. They mate and lay eggs. Many eggs hatch and the young worms grow and mature. Earthworm activity diminishes as temperatures rise during the hot days of summer. If organic matter in the soil is not plentiful and the soil dries out, many earthworms will die. 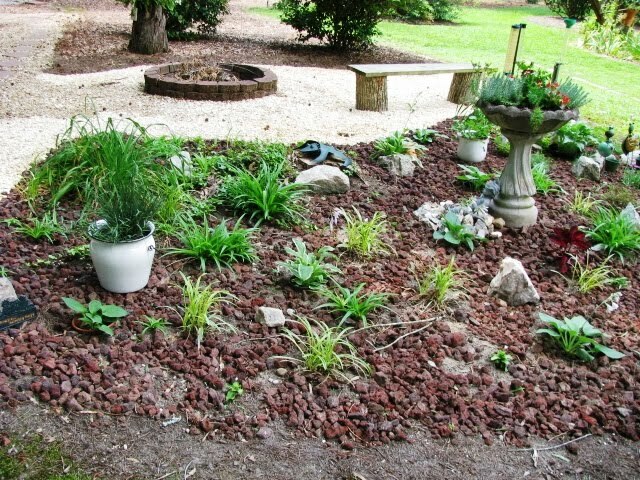 A good layer of mulch will regulate soil temperatures and retain moisture. Some species of earthworms can live for up to 10 years if living conditions are favorable. Birds and moles will keep population explosions in check. Chemical based fertilizers will adversely affect earthworm populations. Organic fertilizers have a positive effect on earthworms and will increase population densities. Pesticides may not kill earthworms directly, but could kill birds that keep earthworm populations in balance. Beware of fungicides as well. Use mechanical and physical controls to control pests and diseases as your first line of defense. If you must use pesticides or fungicides, choose less toxic, narrow spectrum sprays. Sometimes called manure worms, brandling worms, or red wrigglers; they are reddish brown in color. Redworms are surface feeders that multiply rapidly. Redworms assimilate nutrients to build their own bodies and die distributing their castings over a larger area. They do not do well in garden beds but are the worms of choice for Vermiculture (raising and feeding them in order to collect and use their castings in the garden). A variety of soil processing and burrowing worms are generally referred to as Earthworms. These worms survive in harsh conditions better than Redworms but do not multiply as quickly. But they are workhorses and powerhouses in your garden. Also known as dew worms, rain worms, or orchard worms, these garden worms like soil temperatures under 50 degrees. They dig burrows but come to the surface to feed on organic matter, then take it deep into the soil. European, African and Canadian Earthworms are often called Nighcrawlers and sold as fish bait. If you’re interested in adding Earthworms to your garden, click on the preceding link; a good local source (Conroe, TX) for both Redworms and Earthworms / Nightcrawlers.